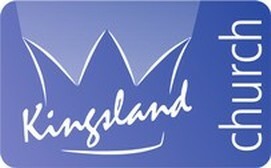 Kingsland Church is the home church of Alan & Beryl in the UK. We’re Kingsland Church Lexden, a lively church here in Colchester. We are a Jesus-following, Father-loving church, open to the Holy Spirit where you can grow and develop in your faith. We love to worship God, are contemporary in our music and have a relaxed style of being together – it’s a great place to be, enjoy friendship, and grow together. Come and join us any time, you will be really welcome and we hope you will want to come back time and again to worship and pray with us. GateWay Church, Leyton, is a new and growing church that meets in a local school. We have lively and informal worship, and a relevant message. We have a warm and welcoming atmosphere flowing out of our belief in the whole church as a family, caring for one another, and living and working together. It is God’s desire for the church to be a family of all kinds of people, so that through our unity we show His glory. We meet in homegroups each week and these are the primary centres of fellowship and pastoral care. We are very committed to our local community, and strongly believe in local church. Here in Leyton we are only a mile from the 2012 Olympic site. A London firm of solicitors with a strong ethical ethos offer a range of services, including personal injury claims which can be on a no-win, no-fee basis. As part of their growing charitable support they will donate 10% of their fees-charged and received at the successful conclusion of your case – to Love in Action upon your request. The following companies have donated software to Love in Action. Thank you. Keep your products organised with pictures, prices, and categories. We use this program to keep track of our school supplies and other stock. AccountSafe is a unique software solution designed to help your organisation with financial management. Having been created specifically for charities and International Non Governmental Organisations (NGO’s) working with a range of moving currencies and needing to report to donors, AccountSafe can work for you. Donated by the Miracle Foundation who build and fund orphanages in India. The database was written by John Zimmerman who has been very helpful as we adapted it for our use.